Owning a janitorial business offers many benefits. It allows a person to have a flexible schedule since most cleaning jobs are done in the evening, at night, or on the weekends. It does not require a person to invest a lot of money to get it started. It is something that can be done by just one person, or the business can be expanded to a point where the owner no longer has to do any cleaning because they have employees. Here are some tips on how owners of janitorial businesses can save money. Does your business offer the use of natural cleaning products? At first glance, this may seem like a more expensive option. However, the reality is that this is often a less expensive option. When you use products like vinegar, baking soda, and lemon, you are using products that are very inexpensive and are available right at a local grocery store. The fact that you offer natural cleaning products is likely going to be appealing to many of your clients, especially ones who are more health conscious. You simply have to look at the natural cleaning product options that are available, compare costs, and then add this as an option when advertising your services. Another way to save money is to purchase the items that you use regularly in bulk. Instead of buying individual bottles of cleaning supplies, purchase them in gallons. When you buy rags and mops, do not just buy a few at a time. 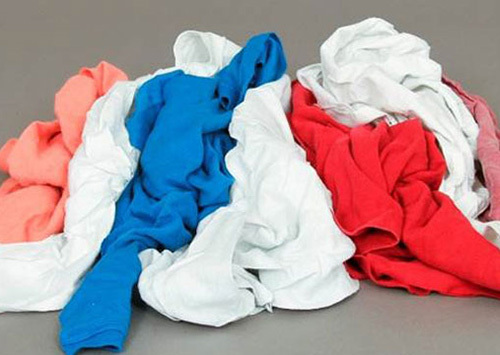 Purchasing cleaning cloths wholesale is going to save you a lot of money. Check out local thrift stores and see about reusing cheap towels and other items that they have available. Planning ahead and mapping out where cleaning jobs need to be done can save you money in gas and labor if you have employees who work with your business. For example, many janitorial businesses offer housecleaning services. Try to organize the houses in a way that allows you or your employees to clean houses that are close to each other at the same time. This will reduce expenses. I so love this post written by my son three years ago. I told him to write something for this blog and came up with this short but interesting article about recycling. You can create scrap materials into art project using some materials that are not much needed. You can also visit websites for ideas if you want to create the simplest to the fun art projects. With creativity, you can turn the materials you don’t need into the most unique items like birthday invitations, boxes, puppets and other environment friendly accessories such as key chains that are decorated with several art/scrap materials. Kids who are creative enough can even make something out of plastic spoons like spoon puppets, and much, much more. Brooches and pins are the best examples that you can create through materials you don’t need with the supervision of an adult.